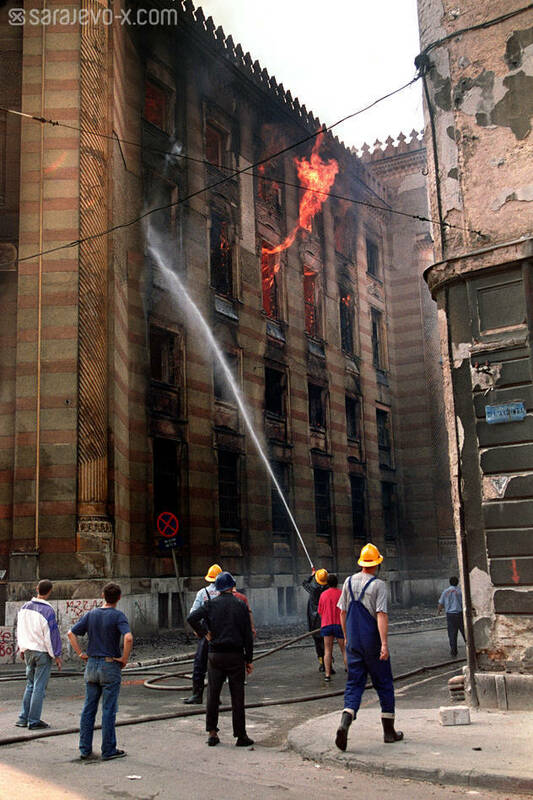 Firefighters douse flames inside the National Library in Sarajevo 26 August 1992. Thousands of books and historical documents are housed in the building which was hit by shells during artillery duels in the capital. An international conference in London met 26 August to resolve the conflict.